Genuine art has the power to awaken and liberate. The renowned meditation master and artist Chögyam Trungpa called this type of art “dharma art”—any creative work that springs from an awakened state of mind, characterized by directness, unselfconsciousness, and nonaggression. Dharma art provides a vehicle to appreciate the nature of things as they are and express it without any struggle or desire to achieve. “I want the space inside the Buddha image to be a place of refuge for viewers seeking calmness and contentment,” said Montien Boonma, the preeminent Thai artist, considered by some to be the face of Buddhism in contemporary art. In the troubled and turbulent context that was life at the end of the 20th century, Boonma explored art as a space of refuge and peace. His inspiration derived from his Buddhist faith and his own spiritual quest, which he communicated to the viewer through drawings, mixed media works, and installations. 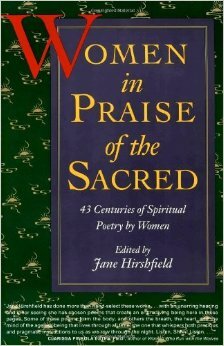 Presents women’s spiritual life as it has been expressed in poems, prayers and songs from the world’s earliest known author (a Sumerian moon priestess) up to the first half of the 20th century, drawing from the major religious traditions of East and West, as well as several indigenous cultures. “What is it I hope for from this book? To inspire a quiet revolution in the whole way we look at health and care for the dying, and the whole way we look at life and care for the living.” This acclaimed spiritual masterpiece is widely regarded as one of the most complete and authoritative presentations of the Tibetan Buddhist teachings ever written. In these six essays, Thomas McEvilley tackles the aesthetics of formalism and proceeds to shed new light on the roots of Modernism and the collapse of the idea of history. The world-renowned critic confronts the ideas and philosophies which for two centuries have exalted art above constructive involvement in the world, and proposes a new vision for the critical enterprise. 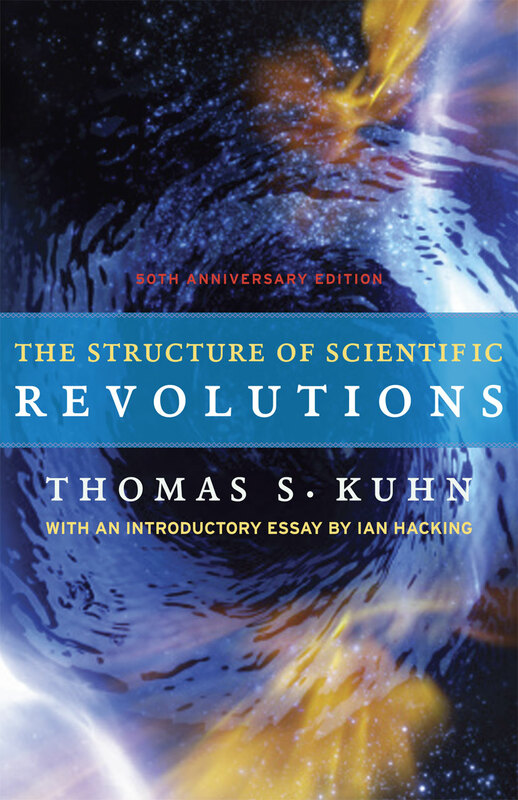 This work relates the scientific story behind 20th-century physics’ search for a theory of everything. Through the use of metaphor and analogy, this work makes some of the most sophisticated concepts accessible, aiming to bring the reader closer to an understanding of how the universe works. In this book, major American philosopher Richard Rorty argues that thinkers such as Nietzsche, Freud, and Wittgenstein have enabled societies to see themselves as historical contingencies, rather than as expressions of underlying, ahistorical human nature, or as realizations of suprahistorical goals. Behind the superficial obscurity of what fragments we have of Heraclitus’ thought, Professor Kahn claims that it is possible to detect a systematic view of human existence, a theory of language which sees ambiguity as a device for the expression of multiple meaning, and a vision of human life and death within the larger order of nature. This is Greil Marcus’s acclaimed book on the secret music made by Bob Dylan and the Band in 1967, which introduced a phrase that has become part of the culture: “the old, weird America.” It is this country that the book maps—the “playground of God, Satan, tricksters, Puritans, confidence men, illuminati, braggarts, preachers, anonymous poets of all stripes” (Luc Sante, New York magazine). In honor of Dylan’s seventieth birthday, this special edition includes a new introduction, an updated discography, and a cover featuring never-before-seen photographs of the legendary recording sessions. “Sigurd F. Olson was one of the most important environmentalists of the twentieth century, and his wilderness writing has been beloved by generations of readers. In The Meaning of Wilderness, many of his magazine articles and speeches, written from 1928 to 1973, are gathered together and present the evolution of his thinking and experience of wilderness.”–BOOK JACKET. 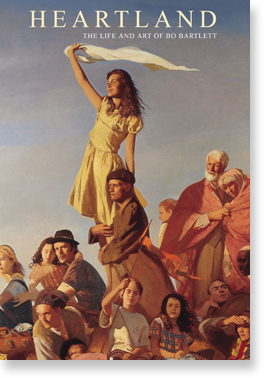 Explores the life and work of American artist Bo Bartlett who examines modern life on an heroic scale. Weaving together images from over 40 paintings, dozens of family photographs, new footage and home movies, this film documents the artists and landscapes that have inspired and shaped his career to date. Merwin’s masterfully refined, meditative poems stem from his dwelling mindfully in one beloved place and handling words as though they are seeds, flowers, stones, and water. Merwin has attained a transcendent and transformative elevation of beaming perception, exquisite balance, and clarifying beauty. The Poetics of Space is one of the most appealing and lyrical explorations of home. Bachelard takes us on a journey, from cellar to attic, to show how our perceptions of houses and other shelters shape our thoughts, memories, and dreams. Christa Wolf (1929 – 2011) was one of the most celebrated German writers of the twentieth century. Wolf was a central figure in East German literature and politics, and is the author of many books, including the novels The Quest for Christa T., Patterns of Childhood, and Cassandra. 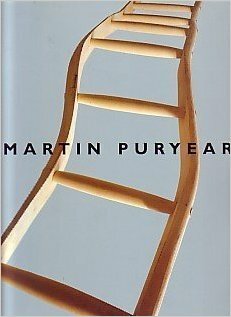 Since the mid-1970s, Puryear has created a body of sculpture that builds on the tradition of organic abstraction. Carrying this tradition forward, Puryear incorporates a minimalist simplicity of form and an emphasis on process and materials that aligns him with postminimalist sculptors. Memory. There may be nothing more important to human beings than our ability to enshrine experience and recall it. While philosophers and poets have elevated memory to an almost mystical level, psychologists have struggled to demystify it. Now, according to Daniel Schacter, one of the most distinguished memory researchers, the mysteries of memory are finally yielding to dramatic, even revolutionary, scientific breakthroughs. In The Anatomy of Memory James McConkey has assembled a rich selection of writings that illuminate the nature of memory and the varied roles it plays in our lives. Ranging from the scientific to the humanistic–from “hardwiring” and the complex functions of the brain, to the value of memory in human life–The Anatomy of Memory brings us insights from some of the most revered writers and thinkers of the past and present. Mental Darwinism, a new approach to the study of mental phenomena, applies selectionist ideas to problems of mind and behavior. 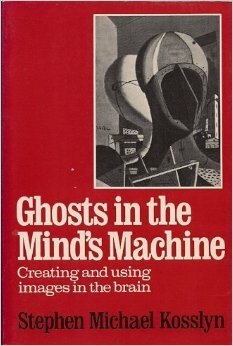 McNamara challenges the instructivist view that memories occur when information from the environment is transferred into the mind. Exploring the creative dimensions of memory and remembering, Emily Keightley and Michael Pickering tackle some of the key questions facing the emergent field of memory studies, including the nature of the relationship between memory and experience and between individual and collective memory. Memory and forgetting are inextricably intertwined. In order to understand how memory works we need to understand how and why we forget. The topic of forgetting is therefore hugely important, despite the fact that it has often been neglected in comparison with other features of memory. This volume addresses various aspects of forgetting, drawing from several disciplines, including experimental and cognitive psychology, cognitive and clinical neuropsychology, behavioural neuroscience, neuroimaging, clinical neurology, and computational modeling. Roderick Nash’s classic study of changing attitudes toward wilderness during American history, as well as the origins of the environmental and conservation movements, has received wide acclaim since its initial publication in 1967. David E. Nye examines the interaction of technology, space, and American narrative, arguing against the idea that technology is an inevitable and insidious controller of our lives. Why do bodies matter? This collection of essays by feminists working in literary and cultural studies addresses this question from a range of theoretical perspectives. 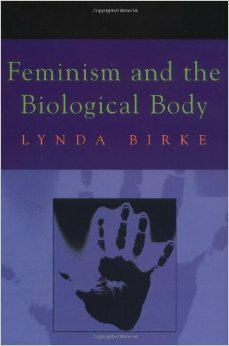 The collection includes essays by internationally-recognized critics who discuss current theoretical debates with sustained analysis of literary and other kinds of textual representations of “the body.” The essays are organized into sections which consider the “matter” of the body from different and often conflicting perspectives. Today women are lifting weights to build muscle, wrapping their bodies in seaweed to reduce unwanted water retention, attending weigh-ins at diet centers, and devoting themselves to many other types of “body work.” Filled with the voices of real women, this book unravels the complicated emotional and intellectual motivations that drive them as they confront American culture’s unreachable beauty ideals. InBelief, Bodies, and Being, twelve distinguished contributors present diverse and illuminating viewpoints on feminist issues of embodiement, materialism, and agency from feminist and postmodernist philosophical perspectives. 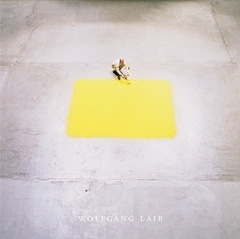 Beginnning by positing non-traditional ways of approaching ontological concerns (through the acknowledgement of agential realties and the usage of an ontology of tropes), the volume concludes by addressing highly specific, culturally constituted types of postmodern bodies (monstrous, anorexic, and pharmaceutical bodies). This book includes interviews with astrologers, wilderness guides, dolphin trainers and academic staff of space agencies from both Russia and the US. It illustrates how all three icons partly reproduce and partly alter the earlier, colonial self-other dichotomy of woman, native, nature against the civilized masculine self. It thus forms an excellent introduction to feminist cultural studies as well as shedding new light on the culture of the space race. W. S. Merwin is widely acknowledged as one of the finest living poets in English. Less well known is the power and range of his work in prose. For his first new prose collection in more than ten years, The Ends of the Earth, Merwin has gathered eight essays that show the breadth of his imagination and sympathy. In this haunting, elegantly written memoir, W. S. Merwin recalls in utterly unsentimental prose his youth, growing up in a repressed Presbyterian household in the small river towns of New Jersey and Pennsylvania. The complex portrait that emerges of a family without language or history, transforms the story of their isolated lives into the development of a writer’s conscience and a warning about the fate of a middle class eager to obliterate origins. A wide variety of artists are represented in this visual tour of the Anschutz collection, regarded as the finest group of paintings of the American West still in private hands. Troccoli examines these paintings as aesthetic objects rather than historical documents. The book coincides with the traveling exhibition starting in October in Denver. 25 b&w, 230 color illustrations. What if work by 21 prominent contemporary artists could be described in terms of familiar topics rather than specialised mumbo-jumbo? That was the idea behind this book. Each of the essayists takes a particular topic as the launching point for discussions of a varied group of American artists. In an age where art history’s questions are now expected to receive answers, Richard Shiff presents a challenging alternative. In this essential new addition to James Elkins’s series Theories of Modernism and Postmodernism in the Visual Arts, Richard Shiff embraces doubt as a critical tool and asks how particular histories of art have come to be. Shiff’s turn to doubt is not a retreat to relativism, but rather an insistence on clear thinking about art. The first European artist-naturalists to tour North America in the eighteenth and nineteenth centuries were awed not only by the continent’s varying landforms but also by the animals they encountered: vast herds of buffalo, majestic horned stags, a bewildering variety of birds. The earliest sketches depicting these fauna began the remarkable tradition of wildlife in American art, a tradition that evolved along with the United States as a nation and still thrives today. This work discusses the art of the final third of the twentieth century. In seven related chapters, it looks at different aspects of the postmodernism that has dominated art since the 1960s. Less than thirty years after Lewis and Clark completed their epic journey, Prince Maximilian of Wied–a German naturalist–and his entourage set off on their own daring expedition across North America. Accompanying the prince on this 1832-34 voyage was Swiss artist Karl Bodmer, whose drawings and watercolors–designed to illustrate Maximilian’s journals–now rank among the great treasures of nineteenth-century American art. With a focus on the settler societies of the United States and Australia, Photography and Landscape is a new critical account of landscape photography created through a unique collaboration between a photography writer and a landscape photographer. Beginning with the frontier days of the American West, the subsequent century-long popularity of landscape photography is exemplified by images from Carleton Watkins to Ansel Adams, the New Topographics to Richard Misrach, all of whose works are considered here. Einstein’s theory of general relativity opens the door to other universes, and weird universes at that: universes that allow time travel, universes where you can see the back of your head, universes that spin and bounce or multiply without limit. The Book of Universes gives us a stunning tour of these potential universes, introducing us along the way to the brilliant physicists and mathematicians who first revealed their startling possibilities. Three eminent scientists ponder the basic questions that have obsessed humankind for ages and offer enlightening answers. The standard cosmological picture of our Universe emerging from a ‘big bang’ leaves open many fundamental questions which string theory, a unified theory of all forces of nature, should be able to answer. 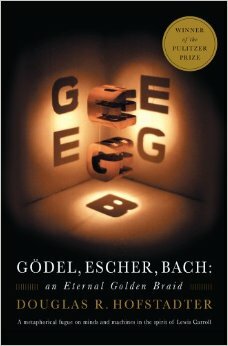 This 2007 text was the first dedicated to string cosmology, and contains a pedagogical introduction to the basic notions of the subject. It describes the possible scenarios suggested by string theory for the primordial evolution of our Universe. Andrew Wyeth is considered America’s most popular living painter, and his work is acclaimed by art lovers around the world. 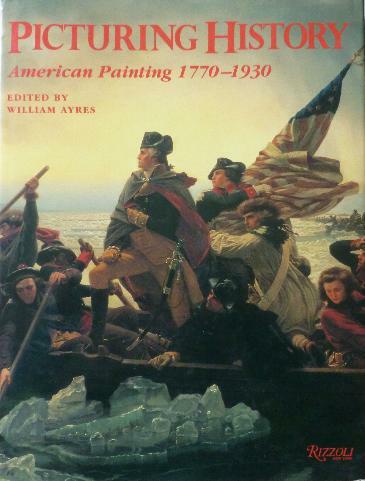 This fully illustrated volume accompanies the first major exhibition to focus exclusively on Wyeth’s exquisite landscape paintings, on view at the Whitney Museum of American Art, New York, from May 28 to August 30,1998. The first volume of Vitamin P, published in 2002, inaugurated a vibrant period for painting. Since its publication, a whole new generation of painters has emerged, some inspired by the artists who appeared in that book, others taking cues from new sources. Vitamin P2: New Perspectives in Painting introduces this new wave of painters to the world. Vitamin P is an image-heavy book offering an overview of the state of painting today, and documents the most recent concerns and ideas among contemporary painters. In the wake of new media such as installation, video, performance and digital art, the traditional medium of painting has enjoyed a renaissance among a recent generation of artists.